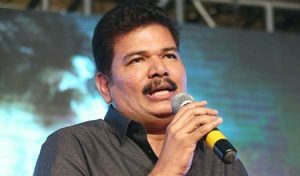 The producers of 2.0 invested nearly 75 million US $ for the VFX portions in filmmaker Shankar’s upcoming magnum opus. Known as the Rajinikanth of directors, Shankar joined hands with the Superstar himself for 2.0, so such a humongous budget makes sense. But convincing producers wasn’t difficult for the director even in his early days, says award-winning director Vasanthabalan who assisted the Enthiranfilmmaker in many films. “Unlike other directors, Shankar hit the ball out of the park in his first film Gentleman which was a blockbuster in Tamil, Telugu, and Hindi. Shankar’s Kadhalan and Indian were also big hits in three prominent film industries so convincing the producer to allocate a big budget wasn’t difficult for him. In fact, producers don’t hesitate much to invest in Shankar’s films because of his box office track record. Just like how Rajinikanth pointed out at an event, Shankar is a wild horse, no one can control and convince him,” says Vasanthabalan. Arivazhagan, who assisted Shankar in Boys and Anniyan, also resonates the same thought, “Though Shankar sir is highly creative, the success he delivered in his initial films played a crucial role in attracting big stars, technicians, and mammoth budget,” says the Eeram filmmaker. Shankar’s success rate is incredible in South India. In 25 years, Shankar failed only thrice: Nayak (Hindi), Boys (Tamil), and Nanban (an average grosser) are three films that didn’t do as well at the box office as some of his other films. Although Boys wasn’t a big hit in Tamil, the film generated massive opening and the producer agreed to invest a huge amount in the film starring newcomers because of the hope he had on Shankar. If you look at Shankar’s career, he never ran behind stars. When Shankar made Gentleman(1993) Arjun wasn’t a big star, and Prabhu Deva was just a beginner during Kadhalan. Kamal Haasan was the first big star who teamed up with Shankar in Indian (1996) but by that time, he became the most sought out director in India with two back to back blockbusters. As Shankar teamed up with Kamal in Indian, the success only tripled once it went on to become an industry hit. Tamil cinema’s leading producer Gnanavel says, “Even before Rajamouli, Shankar penetrated into the Telugu and Hindi market. Almost all his films had terrific run in Tollywood on par with Telugu films featuring star heroes. I would call him as the Rajinikanth of directors because just like Superstar, Shankar expanded the market for Tamil films overseas. Whenever a Shankar film releases, it is sure to be screened in non-traditional territories like the interior European countries and thus, creating additional revenue for Tamil films. Both Shankar sir and Rajinikanth sir created new markets for Tamil films”. 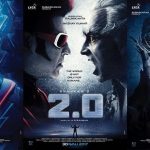 Shankar is the torchbearer of VFX-heavy scenes in Indian cinema and the director shown his penchant for the technology even in his debut film. “Shankar’s love for VFX started with his debut film Gentleman. The animated arrow going through Prabhu Deva’s ear in ‘Chikku Bukku’ song wasn’t that exciting for all the assistant directors in our team but Shankar loved visualising the song that way. Later, during the release, it created a sensation. Till the ‘Ennavale’ song in Kaadhalan, no one imagined animated cutouts of the lead pair. Back then, directors used to say that melodies shouldn’t be disturbed by any needless visual gimmicks but Shankar conceived the song in a unique way. The ‘Muqabla’ song in the same film was a huge rage because of the CG shots. Recently, I was watching 2.0 teaser on my phone and my son carefully safeguarded the phone saying that the device would go missing; this is the proof of the impact created by Shankar”, adds Vasanthabalan. Besides songs, the ambitious filmmaker was the first to flawlessly portrayed the dual roles with a great perfection in Jeans. “I would say that all the CG shots in songs and stunt sequences Shankar’s films from the ’90s are trial for Endhiran and 2.0, just like how James Cameron and Steven Spielberg continuously evolved through their initial days,” opines Vasanthabalan. For those who don’t know, Shankar wanted to make Robot (Endhiran) with Kamal Haasan in the mid-90s and Preity Zinta was also roped in for the film but the director dropped the idea after realising Indian cinema lacks the technology and the market is very limited. Later, Shankar made Enthiran with Rajinikanth but before that he tested the market value for his combination with the actor in a commercial film Sivaji. 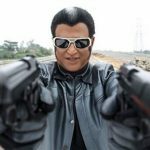 Only based on the box office numbers of Sivaji, Sun Pictures allocated the necessary funds needed for Enthiran, which is still one of the best sci-fi action entertainers in Indian cinema. When Enthiran’s production cost went beyond 100 cr, trade pundits said that Sun Pictures can’t recover the investment but the production house actually witnessed massive profits. 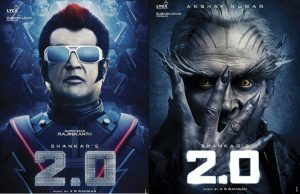 Now, the grandiose filmmaker is all set for 2.0, arguably the costliest film ever made in Indian cinema. Once again, box office analysts say that Lyca Productions can’t get back the investment. But only time will tell who is right. 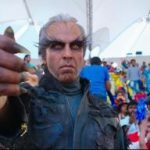 When the director understood that the budget of 2.0 will be the highest for an Indian film, he started approaching Bollywood stars to play the antagonist and locked Akshay Kumar to play the evil scientist. Shankar’s strategy is that Rajinikanth’s star power will take care of the southern territories and as Akshay is also a huge star in Bollywood, therefore the business in North territories will also be quite high. 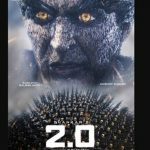 2.0 is all set to release on 29 November in Tamil, Telugu, and Hindi.